Just like the Volkswagen brand, the Audi vehicle is another high power and high quality German car that our technicians are proud to specialize in. These front-wheel or all-wheel drive vehicles have a luxurious reputation and are known for their sporty performance. Eastside’s Kirkland Audi repair technicians consider it their job and honor to be the local experts when it comes to major repairs or maintenance of all Audi vehicles including the supermini or crossover SUV models. Our Kirkland Audi repair team is dedicated to providing the best audi repair experience with their superior vehicle body knowledge, excellent customer service, and through their usage of highest quality factory parts. If you are in the Bothell, Mercer Island, Issaquah, Woodinville or Bellevue areas and looking for an auto repair option that offers reliable service and more competitive pricing than local dealerships, contact Eastside European today. No matter what your needs are for your Audi A4, A6, S5, TTS, or other model, our priority is to keep your Audi running in the best condition possible, which is the condition it was built to run in. Whether it’s a simple oil change, servicing, or complex repairs, Eastside European of Kirkland’s Audi repair technicians have got you covered. With years of experience in German and European auto repair, we look forward to your visit and continuing to serve the Eastside area. 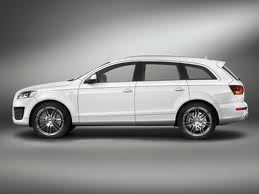 What Services Does Eastside European Offer For Your Audi?